Fitness for me has always been a way of life. This has made it simple to be Fun. I realize it has not been like that for many others, so I decided to share some of my insights and experiences making Fitness Fun. When it comes to my physical body, the idea of feeling it healthy, vibrant, strong and shapely has always inspired me. That meaning, the inspiration, the idea and knowing I can feel healthy, vibrant, strong and shapely has been a consistent source of power and motivation. I’ve never thought, “I have to do this in order to get or have that”. I have always known, when I do anything related to Fitness, and I Feel Good, I’m inspired. I notice it in my breath, my breathing, I notice it in my Yes, my feeling of saying Yes, I am doing it to myself. Fitness, becomes fun, when I’m not chasing a goal. It becomes fun when I recognize the Power it has in keeping my body, my mind and my spirit fresh, thinking and aligned. It becomes fun when I have a plan, I know what I am training, how I am training and I stay focused and committed to that plan. The actions I perform in Fitness aren’t meant to be the hardest. Hear me out on this…. They are meant to Build a foundation for me to build on. For me to continue to improve and get better. This is what I love about Fitness. What happens with many people, they chase the end result, the goal. having the great body, having the 6pack abs. From here, they expect their workouts to be a certain way, and struggle at times to commit to just doing Fitness, allowing the ebbs and flows of how they feel, tapping into pure inspiration. When you turn off your mind, and turn into your body, the amount of energy you can generate from your body is amazing! Making Fitness Fun requires a commitment to yourself daily. This commitment can be as simple as positive affirmations, journaling or positive self talk. Your workouts are a piece of training yourself body mind and spirit. What I love to do in my workouts is mix it up with weight training, body weight exercises, plyo (jump) drills, pilates, yoga. My workouts include aspects of each, keeping me moving and motivated. Having a plan is essential. A good idea is to write out your plan at the beginning of the week. Write out what your plan is for exercise during each day and stick to that. Focus on one day at a time. Allow your body and mind to become stronger. Allow yourself to soak in the exercises , discipline, focus and commitment you are making to yourself. Exercise has the Power to change your life. It’s up to you to commit to the actions and receive the changes. Let me know if you’re interested in having an exercise plan custom created just for you! TIME is essential for health, fitness and lifestyle and it begins with a commitment. To create a health plan, and fitness lifestyle that works for you, your time will be allocated to your Health, Fitness and Lifestyle and this requires a commitment from you to put your health and well being first. A decision to make health, fitness and your lifestyle a priority, may be the best decision you ever make. That means putting down your fork, your excuses, your work. Now, that commitment. A commitment to take positive actions towards your health. The challenges you face, are best met with the support, help and encouragement of a trained Fitness & or Lifestyle Specialist. This doesn’t mean you can’t do it on your own. It means, you’re taking your resources, time and money and investing into what you need, guidance and support to stay on track, committed and focused on your health goals. Building and creating a healthy lifestyle takes work along with your commitment. Staying focused and committed while distractions creep up, while life challenges happen, it’s really important to have someone in your corner, on your side. When you have walls built up, the way to bring them down is stepping forward into your truth, vulnerability. That requires a letting go of your attachments, and your beliefs. It requires you show up more powerfully, more fully and more mature. Spiritually mature to recognize there is a problem and issue with your commitment to your health and well being. Being consciously aware you need help, and doing it alone is not working. Why are you waiting? Do you really believe your time situation will change? Do you believe your health, nutrition and fitness will find the time on it’s own and actually do the work? Fitness, Nutrition, Lifestyle all take discipline, and time to get the work done. That is exactly what holds you back. You’re in this cycle of needing time, and yet your letting your health pass you by. This is an opportunity to take inventory and take action. Having a plan means you’ll have actions and commitments to follow through on. That means your time, energy and money will be invested in your self. Invested towards your goals. Like a retirement plan you put in place to take care of you when your older, fitness, nutrition and a lifestyle plan supports you in living life better. It’s built upon your time and years young, to prevent and reduce illness later and adds positivity, energy and stress reduction to your life now. 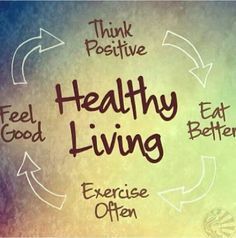 Taking positive action towards your health & wellness begins today. Today because, your body mind and spirit need the attention and craves the nourishment. Today because, moving your body never felt so good, the freedom, passion and excitement from taking action for a healthier body. Today because your ready, ready to take the first step take action and move forward. Your ready for a more serious, more committed more powerful you, body mind spirit. And that is Really What you want. A more powerful You~ Body Mind Spirit. Take action Today. Make a decision Today. Be Bold, Be Fearless. Fitness, Nutrition and Lifestyle can be whatever you choose it to be. When you decide, when you make Fitness, Nutrition and Lifestyle your Today, your future self will thank you. Fitness becomes an essential in your life for quality of living. Fitness was and has always been my first love. It holds my heart and soul. It took me a long and winding road to acknowledge the relationship I have so meticulously and devotedly crafted with Fitness. Fitness, is a place, a space within, and a way of being that rocks my world from the inside out. 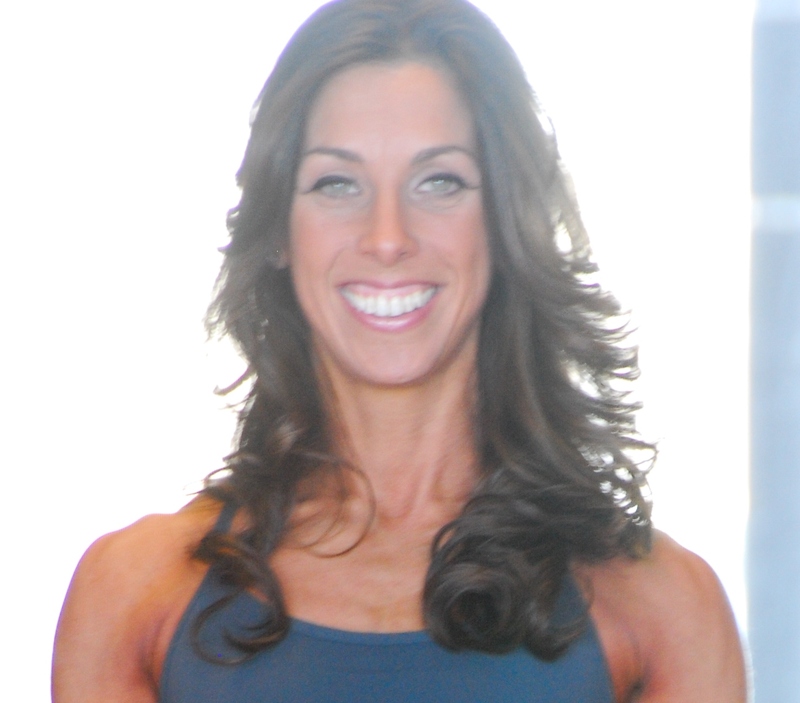 I connect deeply & powerfully to my true self, my genuine purpose, My Spirit through the world of Fitness I created for myself. Fitness in many ways has become about the doing of a workout, with end results and a goal set in mind. What I found in cultivating my unique relationship is, Fitness is a Feeling, beginning deep within the Spirit. The power of Fitness, having a body you worship and love is turning off your mind, the doing, the aspects that are chasing an idea, the way you’re going to look, the way you’ll get all these things when you have….the body you want. Chasing an idea, is different than a vision or a goal. A vision holds an image that supports what you want. A goal gives you strength, courage and determination in attaining your vision. You see, the only workout that matters is the one you Do TODAY. Always have a plan. An action plan. What body part are you training, what class are you taking, what is your action and intention for your workout? Now, I do not mean, how hard is it going to be, I don’t subscribe to that. I mean what are you committed to TODAY in YOUR workout. Because I COME FROM a place of Trust, Joy, and Inner Knowing with my Fitness Training, my workouts always had meaning and purpose to me. What I expected from my workouts and always accomplish is, how is this going to make me feel~ what are the feeling running through me when I go into the gym, yoga studio, park, and meditation to get in a workout. These feelings drive me. They ignite my passion, illuminate my soul. The feelings range and include joy, excitement, fun, challenge, drive, commitment, passion, self expression, and beauty. I feel beautiful when I train. Not because of what I look like, because of how I feel, how I light up my soul. These qualities have nothing to do with end results. The first skill to master is non-negotiating with yourself. Pick yourself up, get on your treadmill, elliptical, go to the gym. The minute you being negotiating with yourself, it’s over, your dark side has taken over. Non- negotiating means having a way of being present, centered and non-judgmental, there is no decision to be made, there is only a space of action, taking action. That’s the beauty of mastering non-negotiation. The minute you get up, get on the equipment or out of your home, you stand in your power. Now cultivate your feelings of feeling great, joy, passion and fulfillment. Your workout doesn’t need to be hard, or hurt you or make you feel like your killing yourself to be in shape. Your workout needs to support you in being a better version of YOU. Maybe your a parent, a better role model for your children, maybe you want to make more of an impact at work. Committing to a workout plan will bring co-workers to appreciate and admire your dedication and discipline, and your bosses, people will notice you, you’ll have strength and power through your relationships at work, in conjunction with your workouts. Time is often an issue for people. It’s time you drop some of the things you are doing that are not supporting you and your body mind and spirit. I’m sure you can mention one thing you do that frustrates you and no longer serves a purpose for you. That’s your cue. Make the decision & commitment TODAY to stop doing it. Begin holding space for yourself, planning your workout, make it happen NOW. Your workout again, is about taking time for your body mind and spirit. Not about how hard or how much time you get out of it. First accentuate it as a priority. Take your time for it. Non-negotiating. Fitness is to make you Feel Good. Really soak that in. “Make you feel good”. How do you think your life will change if you begin to always feel good and make time for your body with fitness? You’ll learn to be more disciplined, more focused, more committed. It starts here. Create a foundation for yourself with Fitness. You may not see the results you want to see right away. It does not mean it’s not working. It requires you stick to the plan, trust your vision. The small steps you are taking are all part of your goals. Each day a new goal is accomplished. This is laying a foundation for you. In order to get where you want to be, each day counts as a goal accomplished and building your foundation. I believe having a stable foundation in Fitness means no matter what, no matter what’s happening in your life, Fitness will be there. Whether you take a step away from your workout for pressing issues that require immediate attention, or whether you have small issue, you use Fitness as a tool to keep you centered, grounded and Trusting in your Vision. That means Fitness becomes an essential in your life for quality of living. Turn off your logical brain, tune into what you want and how you feel. Add to that. Breathe. Inhale your desire and feel free and trusting in you getting there. It is a journey. Each day get behind the wheel, put your foot on the gas, moving you in that direction. Stay focused with attention and delight in where you are going. Commitment and Discipline. From a place of Your Energy and Your Time Well Invested or Spent, always adding to your Total Well Being. Intuition often times gets a bad wrap. We decide to listen and follow the guidance of something that appears real. It appears to be the right way, the golden ticket when in actuality, it’s our outer surroundings making us believe it’s right for us. Now, I believe in Intuition. I believe in the power of our own inner wisdom, your own inner compass guiding you. What do you do to focus, direct and trust your own intuition? There is a process. It begins through looking at the world around you. What are you seeing and experiencing? Are you seeing and experiences life the way you believe it to be? Are you engaged in living the way you believe the world to be? So much of the time, with life being so busy, so full of external demands, we make choices and decisions based on how we believe things need to be, rather than what we truly believe and trust with our own knowing and being. Intuition comes from a place of Self Worth, Self Value and Inner knowing. Intuition is cultivated through a relationship with yourself, removing and distancing the distractions of the outer world. That takes Faith to take ownership in. Faith to believe in your self. It capitalizes on your strengths, which for others may seem trivial or non important. Yet this is the Power of your Intuition. Intuition has a special way of revealing itself to you. Whether it be feelings in your gut, feelings in your body, a knowing, images, voices, messages of all kinds. Intuition is essential to unlocking your power to your inner freedom, joy, happiness, pleasure and lifeline. So what happens to your intuition when you are disconnected from it? When disconnected with your intuition, your resources, time, energy, money flow in many directions, as opposed to towards you, towards your growth and nourishment for fulfillment. You tend to make your decisions and choices from outside of yourself, meaning from expectations from the outside world. Pleasing other people, being in situations that conflict against your personal values, and at the heart of it, to get your needs met. Your needs are met when you connect with your Inner Knowing, Your Intuition. Making decisions, taking actions from a place of Faith, with the Power & Security of Your Intuition. So, how do you know when you are using your Intuition? There is a wave a strength and courage, of trust and faith, of calm, center and peace. When you apply these qualities to your choices, actions and decisions, you pave the way for your greatest gifts and rewards to move through. It’s a balance between trusting and moving, stillness and faith. When you apply these skills and focus on your truest desire, all things are possible. There’s nothing you can’t do. The Heavens open up. The greatest gifts you have to offer the world is you, your unique brightness, brilliance, and joy. 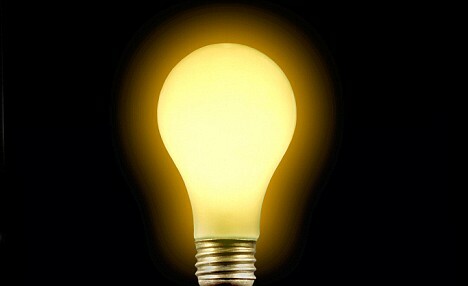 Intuition is your Power, illuminating the way, turning your path to gold.